J.T. Foxx is known worldwide as a serial entrepreneur, a real estate investor, and is considered one of the top speakers, strategists & the #1 coach in business, wealth, & real estate. He came to the United States from Canada with $974 to his name 8 years ago and since then has turned his misfortunes into various business empires and opportunities from all over the world all before the age of 30. 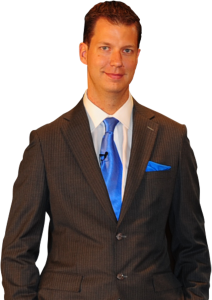 JT Foxx is a radio and TV personality. JT has had his radio show for 7 years now with some of the biggest business names in the world from Trump, Mayor Rudy Giuliani, Steve Wozniak (Apple Co-Founder), Arnold Schwarzenegger, Jack Welch, Kathy Ireland, Speaker of the House Denny Hastert, Senator McCain, Rev Jesse Jackson, and many more. JT has also appeared on CNBC to talk about his success and ideas on business. He is also the founder of Mega Partnering & Mega Partnering Africa. Mega Partnering is regarded as the world’s #1 wealth networking and business conference attracting attendees from all over the globe who come to learn, earn, and return. One of JT’s passions is philanthropy. JT is currently on the Board of Directors for the Eric Trump Foundation benefiting St-Jude Children’s Hospital and is now setting his sights on helping the Nelson Mandela Foundation and spreading it’s message and vision of the great Madiba. He will also be releasing his first and anticipated new book coming out soon.